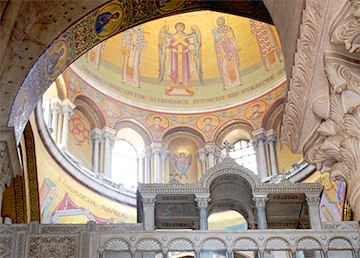 Jerusalem, a holy city to three major religions, has much to offer the traveler. In other parts of this ancient land, explore Roman ruins and see the caves where the Dead Sea scrolls were discovered. 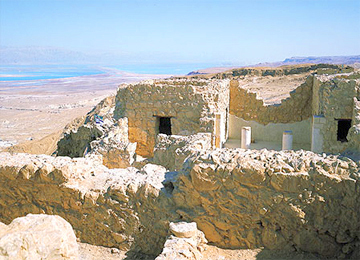 Tour Masada, the site of the Bar Kochba revolt. 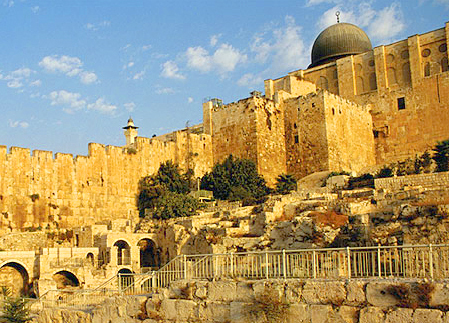 Explore the Old City, with a visit to the Mount of Olives for a wonderful view of Jerusalem. At the Wailing Wall and view the temple area with the Al-Aksa Mosque and Dome of the Rock. Walk the Via Dolorosa, passing by the Stations of the Cross and ending at the Church of the Holy Sepulchre. Explore Yad Vashem Holocaust Museum. 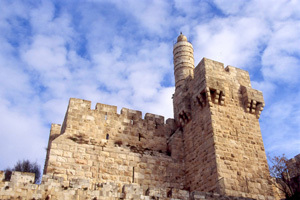 Continue to the Tower of David, an ancient citadel located near the Jaffa Gate entrance to the Old City of Jerusalem. The citadel was constructed during the second century BC and subsequently destroyed and rebuilt by, Christian, Muslim, Mamluk and Ottoman conquerors of Jerusalem. Israel and Jordan explores all the threads – civilizations, cultures, history, traditions, religions and the arts – that are so intricately woven together throughout this compelling area of the world. Gain special insights into its diversity from knowledgeable local guides and experts in their fields as our Israel travel itinerary takes you from bustling modern-day Tel Aviv to ancient sites such as 4,000-year-old Jaffa, King Herod’s port city of Caesarea, mountaintop Masada and Jerusalem’s Old City. Expand your understanding of the religions that have so much to do with Israel and Jordan, past and present, during an Exclusive private panel discussion. Sail on the Sea of Galilee, relax at a resort along the Dead Sea, travel on Jordan’s King’s Highway to the fabled pink city of Petra, and dine Bedouin-style at a traditional feast. Privately guided tours and special cultural experiences for guests only bring it all to life. Throughout our Jordan and Israel travel days, superb hotels put you in the best locations, such as The David Citadel Hotel, a five-star hotel within walking distance of Jerusalem’s Old City walls. 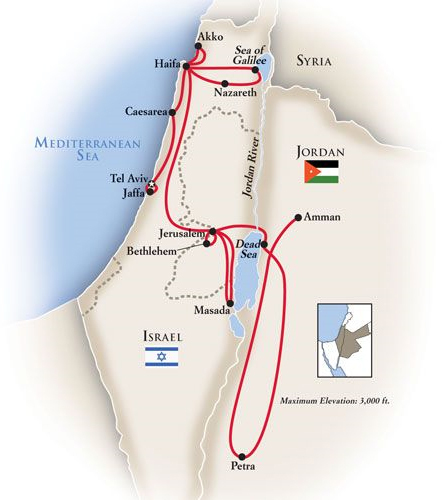 Jordan and Israel travel days begin at 7:00 PM at the InterContinental David Tel Aviv. Upon arrival at Tel Aviv’s Ben Gurion Airport you’ll be met by your Representative and transferred to the InterContinental David Tel Aviv, set on a beachfront promenade, with sweeping views of the Mediterranean, in the city’s most fashionable neighborhood. Please join us this evening for our welcome cocktail reception and dinner where you’ll meet your fellow travelers and Director. On your first full day in Israel travel excursions around Tel Aviv reveal some of the striking contrasts that define the country. Our guide will give you a little Hebrew lesson with handy words to know during our welcome briefing before you set off for a walking tour through the maze of narrow, cobblestone streets of 4,000-year-old Jaffa, believed to be the oldest port city in the world. Explore the Visitors’ Center in Kedumim Square and its museum with exhibits on the history of Jaffa and archaeological treasures. Take a private tour of the home and gallery of world-renowned artist, Ilana Goor; tour her 250-year-old studio that she meticulously restored herself. Have lunch at a local café, then travel from the romantic eccentricity of Jaffa to the Bauhaus architecture of Rothschild Boulevard… a true leap of time! Many Jewish refugees from Germany in the 1930s brought functional, modern design with them, and the plethora of square white buildings with curved balconies on every street earned Tel Aviv the nickname “The White City” and a UNESCO World Heritage designation. But there the austerity of Tel Aviv ends; for the remainder of the day, spend time exploring this hip, young, city on your own. Your hotel is within easy walking distance of the beach, restaurants and a nightlife that is second to none. Over a period of just 12 years, Herod transformed Caesarea into a grand city and major seaport – and dedicated it to Roman Emperor Caesar Augustus, who had returned it to Herod after wresting it away from Cleopatra. During a walking tour, view the spectacular Roman amphitheater, still used as a performing venue today; what was once the great harbor Herod built; the hippodrome that held 20,000 spectators for chariot races; and what remains of Herod’s palace. After lunch, continue on to Haifa, international headquarters of the Baha’i Faith, and the Baha’i Shrine and Gardens on famed Mount Carmel. 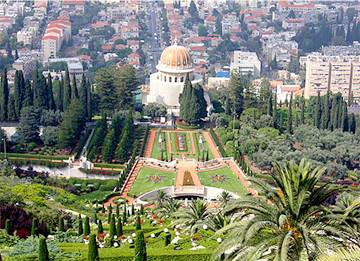 A succession of 19 manicured garden terraces lead to the Shrine of the Bab, entombing the remains of the Bab, Baha’i Allah, the herald of the Baha’i Faith. Your hotel, The Colony Hotel Haifa, is located in the historic German Quarter, a neighborhood of 19th-century houses that are distinctly European, bustling with shops and cafés. Dine this evening from a selection of restaurants, after which you may want to explore a bit or just enjoy the intimacy of the hotel, closeness of the sea, and amazing vision of the Baha’i terraces rising above the city, illuminated at night. A day excursion from Haifa – from the Mediterranean coast of northern Israel travel inland to the Sea of Galilee, where Jesus gathered his first disciples among the fishermen. At Yigal Alon Museum, you’ll discover an archaeological treasure that rocked the worlds of archaeology, history and religion when it was found in 1986 – the Galilee Boat, a 2,000-year-old fishing vessel discovered in the mudflats of Galilee. Exhaustive scientific research places the fishing boat in the time and place of Jesus along the Sea of Galilee. Board a working replica of the boat and sail the waters of Galilee on a guided tour to see how fishermen in Jesus’ time lived and worked; you’ll even have an opportunity to learn to dance the Horah! Learn about this rural area’s many kibbutzim – farming communities which teach self-reliance, collective action and civic responsibility, and have lunch at a local restaurant in Nazareth. Return to Haifa, where you can participate in a “Prophet Sharing” panel discussion, a unique opportunity to ask questions and share information about the major religions that co-exist in this multicultural land. The evening is free in Haifa to enjoy as you please. Today in Israel travel to one of the oldest continuously inhabited cites in the world, Akko, dating back to the era of the Egyptian Pharaoh Thutmose. Begin your visit to this richly historical city with a visit to the Jezzar Pasha Mosque, an excellent example of Ottoman architecture, named for Ahmed al-Jezzar Pasha, who defeated Napoleon at the 1799 French siege of Acre. A walking tour through the walled city takes in the Knight’s Hall, the citadel and prison, as well as the ancient tunnels. Traces of the Egyptians, Greeks, Romans, Muslims, Crusaders, Ottomans, Bedouins and the British, who have all ruled here, as well as of the 1948 Arab-Israeli War, can be seen. Lunch at one of the city’s best-known, most sought-after restaurants, Uri Buri, run by famed Chef Uri Yirmias; casual with understated elegance, his seafood is famous all over Israel. Continue on to Jerusalem, with a stop at the Mount of Olives for a scenic view out over the city. Your hotel, The David Citadel Hotel, is one of the newest and most luxurious in the city, located at the doorstep of the Old City. Our guests enjoy views of the David Citadel and Tower and the picturesque city walls from their private balconies! Dine à la carte tonight at Scala, one of the best restaurants in Jerusalem. For three of the world’s great religions, Judaism, Islam and Christianity, Jerusalem is indeed a city of great significance. A walking tour led by an expert local guide and your Director begins in the Jewish Quarter of the city and the Cardo, today a bustling marketplace with intriguing goods for sale built atop a site dating back, in part, to the time of Emperor Justinian in the 6th century BC. Descend into the ornate, ingeniously engineered Sephardic Synagogues, built below street level during Ottoman rule in obeyance of a law that no Jewish temple could be higher than the surrounding houses. Your visit reveals a restored complex of four synagogues, Yochanan ben Zakai, Istanbuli, Eliahu Ha’navi and Emtsai, each built in a different time period to accommodate the needs of the Sephardic community of the day. Following lunch, visit the iconic Western Wall, the last remnant of Solomon’s temple, which held the ark of the Covenant. The wide plaza before the wall is an open-air synagogue where Jews gather daily to pray; it has been among Judaism’s most holy prayer sites for over 2,000 years – people of many religions leave prayer notes in the cracks and crevices of the wall. The afternoon and evening are at your leisure in Jerusalem. 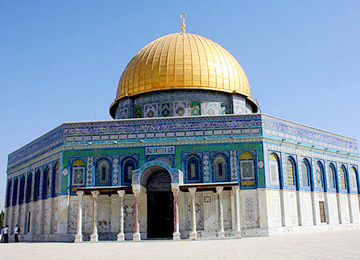 This morning, return to the Old City for a visit to Temple Mount where the revered 7th-century Islamic shrine, the Dome of the Rock, is built atop Temple Mount – its golden dome shelters the rock from which the Prophet Mohammed ascended to Heaven. For Jews, it covers the holiest spot on Earth, the Foundation Stone of Solomon’s inner temple. For many Christian pilgrims, a walk on the Via Dolorosa, along which Jesus carried the cross to the site of the crucifixion after Pilate’s condemnation, is a most meaningful experience. Explore the winding path before continuing on to the Church of the Holy Sepulchre, which encloses the place where Jesus was crucified and buried. Following lunch at a local restaurant, visit Yad Vashem, the Holocaust Memorial Museum, where a guide accompanies you through the images, survivors’ accounts, and artifacts that put human faces on the Holocaust; it will be one of the most deeply moving experiences of your Israel travel days. Get set for a magical evening at the Tower of David – as the sun sets, watch the story of Jerusalem unfold in breathtaking images projected on the walls, archaeological ruins and hidden pathways of the Citadel, completely surrounding you in a multi-sensory experience. Travel to the cliff-top fortress at Masada, a UNESCO World Heritage Site built by King Herod between 37 and 31 BC and the mighty stronghold of the Jewish Zealots who fled Jerusalem rather than submit to Roman rule during the First Jewish-Roman War in the 1st century AD. Take a cable car to the top of the mountain with a knowledgeable guide to explore the site, learn the story of what happened here over 2,000 years ago and discover why Masada has such tremendous significance today. Drive by the place where the Dead Sea Scrolls were unearthed and view them later at the Israel Museum, where they are exhibited. Spend the afternoon and evening as you wish in Jerusalem. Following breakfast, you have a choice of spending additional time in Jerusalem or joining us for a guided sightseeing excursion. Go through the security barriers to the West Bank for a visit to Bethlehem. Take a walking tour of the Church of the Nativity, built over what is traditionally thought to be the birthplace of Jesus, one of the oldest continuously operating churches in the world. Beneath the elaborate church lies the Grotto of the Nativity; a silver star in the floor marks the very spot where Jesus was believed to have been born, with the Chapel of the Manger just steps away. Visit the Milk Grotto, where the Holy Family took refuge before their flight into Egypt, then return to Jerusalem. Following lunch, your Israel travel days end and your Jordan travel days begin as you drive to Jordan and a luxury resort and spa on the Dead Sea. Today is a day of personal choice. You may be ready to just kick back and relax today, enjoying the amenities of your spa resort on the Dead Sea. The Dead Sea is the “Great Salt Lake” of the Middle East, and true to its name, devoid of life except for the many visitors who come to marvel at its mineral-rich, therapeutic qualities. Or, join your Director for a visit to the ancient city of Gerasa, today called Jerash. Step back in time 2,000 years as you explore the exceptionally well-preserved remains of Roman architecture in the Middle East, including Hadrian’s Arch, the Hippodrome, the Oval Plaza, temples, theaters, arches, walls, baths and more in this fascinating archaeological site. After lunch, return to your resort to spend the rest of the afternoon and evening as you wish. Today, your Jordan and Israel travel adventure takes you from the Dead Sea to Petra along the King’s Highway, the oldest continuously used trading route in the world. Traveling south through ancient biblical lands, you’ll stop first at Mount Nebo, where Moses looked out upon the “Promised Land.” On a clear day, Jericho, the Dead Sea, the River Jordan and even Jerusalem can be seen from Mt. Nebo; visit the Memorial Church of Moses to see the well-preserved ancient mosaics that are located inside the excavated Old Baptistery. Biblical history is everywhere en route, most notably in Madaba; visit St. George’s Greek Orthodox Church to view an incredible 6th-century map detailing the major biblical sites of the time. Enjoy a lunch of traditional Jordanian specialties before heading on to Petra, where dinner is at your leisure at your hotel – just a short walk to the entrance of the 2,000-year-old city of Petra. The 2,000-year-old city of Petra, which the ancient Nabataeans carved out of colorful sandstone cliffs, was named one of the “New Seven Wonders of the World” – it is quite truly amazing. 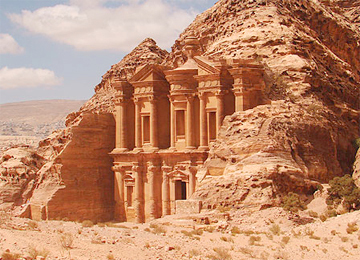 Almost forgotten for over a thousand years, Petra is one of the best-preserved biblical sites in the world. You’ll travel through the narrow, high-walled canyon called the Siq… and suddenly, there it is, the huge, world-famous Treasury – your first sight is one of those life-transformational moments. View Petra’s tomb facades, royal tombs, temples and other structures on foot and by horse cart. Have lunch at the Basin Restaurant in the Old City, and return by camel. The afternoon is spent as you please – then get set for tonight’s special farewell dinner! Join us this evening for a real taste of Jordan when you dine Bedouin-style at a traditional feast. A dance troupe of Jordanian men, dressed in customary Bedouin garments, entertains with a performance of the Dabkeh sword dance for a look at centuries-old traditions. Drive along the winding 5,000-year-old King’s Highway, through golden canyons and ancient villages, to Amman; this is one of the oldest continuously used roads in the world. Jordan and Israel travel experience ends in Amman. Guests with early evening flights will be taken directly to the queen Alia International Airport while those departing late night or early the next morning will stay at Le Méridien Amman. A transfer is included from Le Méridien Amman to Queen Alia International Airport. You should allow a minimum of 3 hours for flight check-in.